On a Friday evening, black storm clouds rolled in over the Great Saltair. Lightning flashed in the skies surrounding Salt Lake City and everyone at Das Energi Festival. The Utah festival was in full-swing of first day festivities when a storm blew through the venue. Both the outdoor stages were evacuated, and hundred of festival attendees corralled in the indoor section of the venue. Hours passed. People huddled and laid together on the dance floor. Light up shoes tapped anxiously on warehouse cement. Glovers twiddled their illuminated thumbs with no music. HQ assured they would resume as soon as they could. 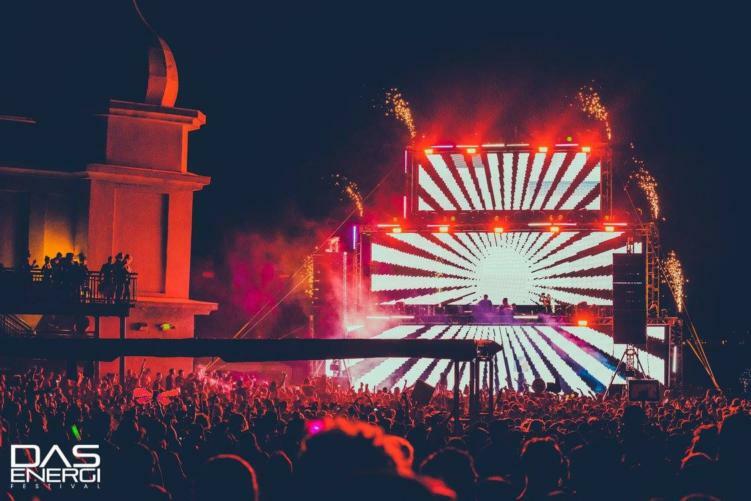 The evening’s pending performances included ATLiens, k?d, Morgan Page and Paul Van Dyk, in addition to headlining sets from trap king Dillon Francis and dance icon Kaskade. The evening’s fate rested in Mother Nature’s hands. Finally, the storm passed. The doors opened and eager dancers flooded the damp desert sand. The Galactic Flats stage was still shut down, and pieces of the main stage were hanging off and blowing in the breeze. But there would be music. V2 Presents extended the 2 a.m. call time to 3 a.m. to make up for the delays. A lot of artists’ sets got cancelled. Those that didn’t got their set times shaved down by half an hour. The main stage blew through performances from JOYRYDE, What So Not, Dillon Francis and Kaskade. Shorter set times had DJs scrambling to pack their hits into a one hour set. Indoors at the Synergy Station Tritonal, Morgan Page, Paul Van Dyk and Rabbit in the Moon played into the late hours of the night. The festival announced that the cancelled artists would be rescheduled and brought back to Salt Lake City as soon as possible. Day two saw a full recovery of the festival and the V2 Presents team. All three stages were back and fully functioning. 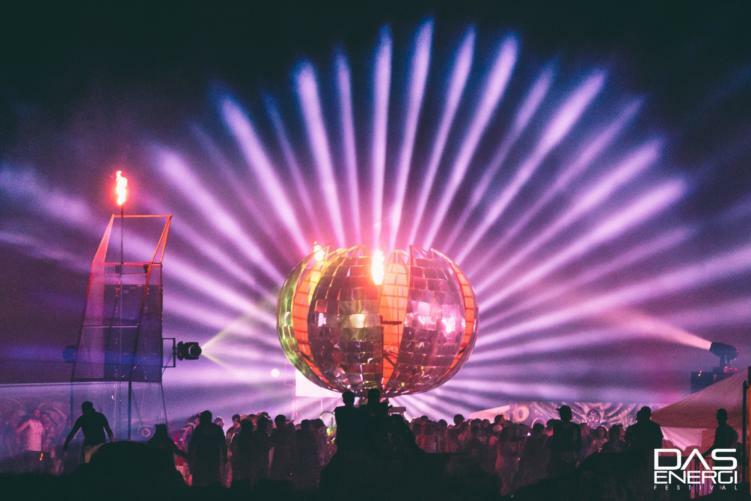 The Galactic Flats stage kicked off the night with some funky psybass from Um… and Mad Zach; both accompanied by a giant, disco ball flamethrower. At 8 o’clock, a secret “special guest” set brought the enigmatic 1788-L to the main stage. Inside at the Synergy Station, 12th Planet satisfied all the rail-riders with their endless, filthy bass. Immediately after, Rusko‘s performance dazzled. He opened with a dubstep remix of Beethoven’s “Für Elise,” and took off from there. The sole indoor stage closed with a world premiere back-to-back performance from NGHTMARE and Snails. Outside at the main stage, it was a mini mau5trap records showcase. Rising superstar and queen of dark, minimal techno Rezz performed from her latest album Certain Kind of Magic. New singles like “H E X” and “Life and Death” sat next to some of Space Mom’s set favorites – like her Marilyn Manson remix and the “Killing in the Name” tune flip she iconized during her Mass Manipulation tour. She ended the 70-minute set with some fresh mixes and unreleased Rezz tracks. Rezz’s performance led straight in to progressive house living legend deadmau5. Amazing – and sometimes whimsically creepy – visuals, seamless transitions and unstoppable dancing are classic of a deadmau5 show. He wove classics like “My Pet Coelacanth” and “Ghosts and Stuff” in between dance floor bangers and remixes. Homemade mau5 heads bobbed and danced below their reigning king. He ended with the heavy-hitting Noisia remix of “Raise your Weapon” before closing with the extended “Strobe” mix. An iconic personality, he never speaks during his sets. All the audience gets is a cheeky “thanks, bye” before he leaves. It was a rocky start to the small-scaled, southwest festival. But the venue space and lineup were otherworldly. The production team did a great job making sure everything was fully functional for the second day. Perhaps with a bit more backstage organization and a clear pass from Mother Nature, Das Energi could be a big player. 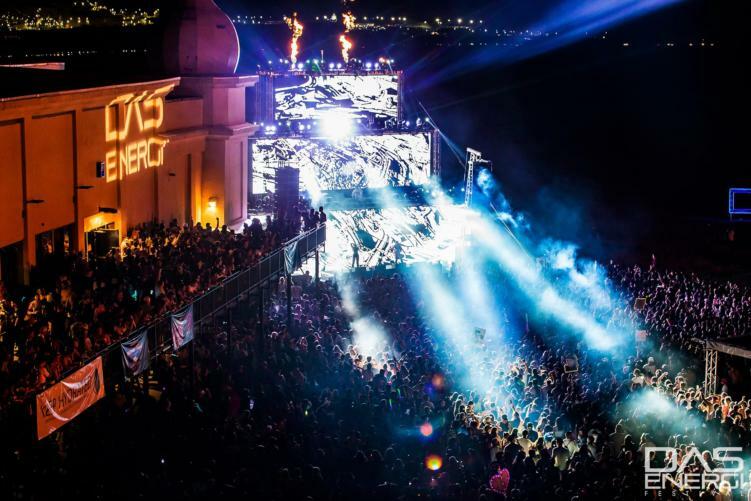 Check out the Das Energi website for photo and video recaps. Featured image via festival Facebook page.